This vintage 1930s represents the Shrine Peace Memorial in Toronto, Canada. 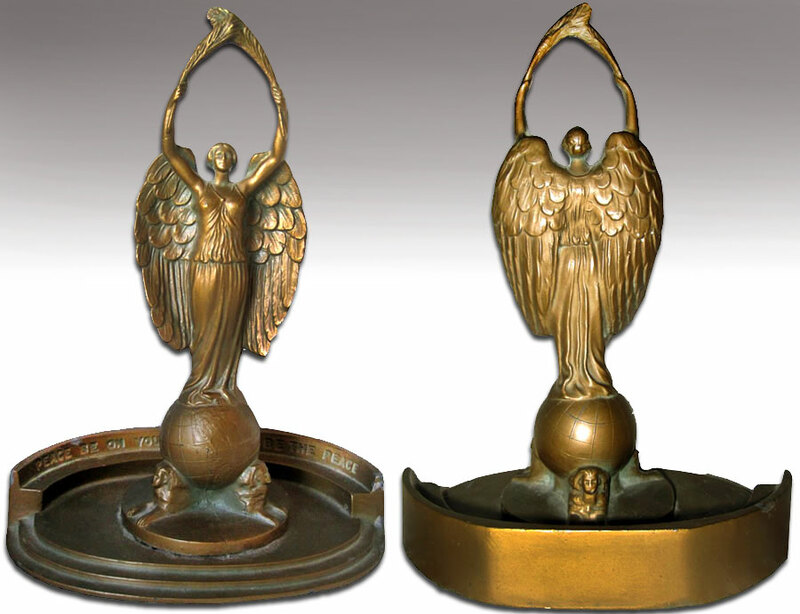 I recently acquired this rare monument replica, which is not listed in the book Monumental Miniatures. She stands 8.5 inches tall and the base is 6.5 inches wide. Due to its weight, its seems to be made of a pot metal with high lead count as do many of the older souvenir replica. On 12 June 1930, the real statue was presented to the people of Canada by Imperial Potentate, Noble Leo V. Youngworth on behalf of the 600,000 members of the Ancient Arabic Order Nobles of the Mystic Shrine to commemorate the peaceful relationships existing for over a century between Canada and the United States. The gift was received by the Honorable George S. Henry, Potentate of Rameses Shrine Temple in Toronto. 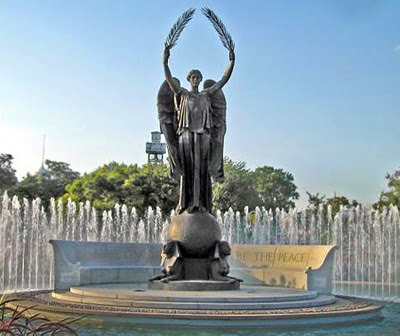 In 1958 the surrounding garden and fountain, created by the Toronto Parks Department, officially opened.Located in Exhibitions Place, on Toronto’s lakeshore, the Shrine Peace Memorial faces south, toward the Niagara River and the United States. 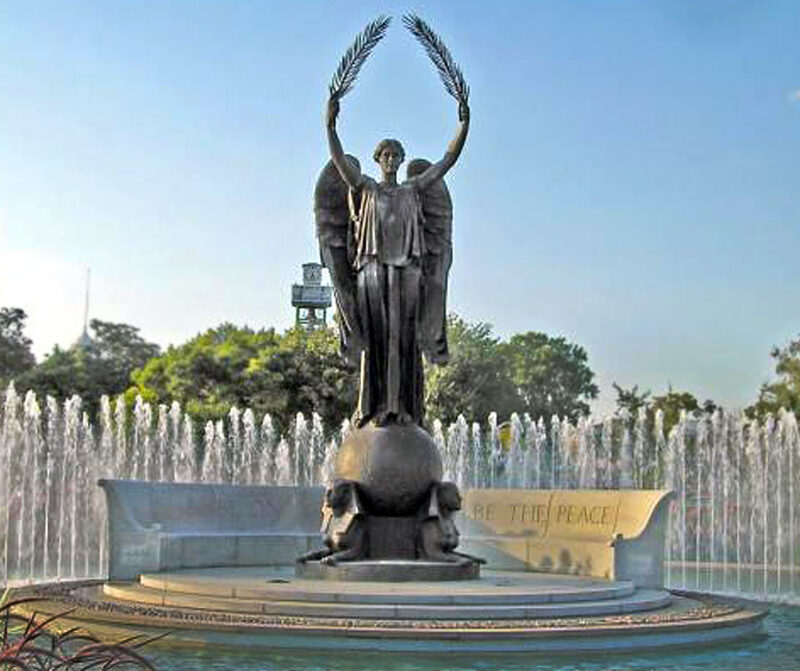 The statue was designed by noted sculptor, Noble Charles Keck of Kismet Shriners in Brooklyn, New York, and depicts a winged angel holding aloft a laurel crown and standing upon a globe held supported by female sphinxes. The inscription around the base reads “Peace be on you,” and its response, “On you be the peace,” the English translation of the Islamic greeting used by Shriners.